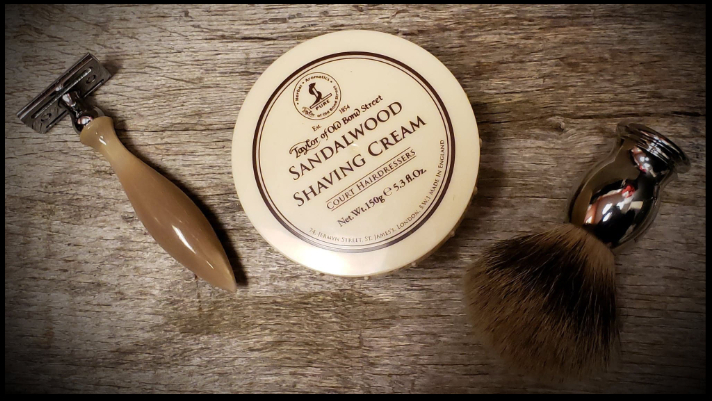 Making the switch from gel-based shaving creams to more traditional wet shaving products is essential when it comes to your skin. Many drug store shave foams contain harmful ingredients that include Triethanolamine. This ingredient, along with DEA (diethanolamine) and MEA (monoethanolamine), have been linked to hormone disruption that can form cancer-causing nitrates and nitrosamines. To much surprise, the answer to this issue is an easy fix, and it all begins with using brands that have been around for decades! Modern Male carries a number of luxurious products to get you started on the right path. From shaving creams by Taylor of Old Bond Street to soap bars by Parker Safety Razors, these alternatives not only produce a great lather and a comfortable shave, but also help to soothe, nourish, and moisturize the skin with natural and organic ingredients. You will find comfort in knowing that both brands are paraben/preservative free and include skin essentials such as aloe vera and jojoba oil! If you are having a difficult time choosing between a soap bar and a shaving cream, you may find it beneficial to begin with a cream due to its ease of use. However, for the more experienced shaver, soaps can provide a more complex scent profile that will allow you to appreciate the true art of shaving. To fully understand and develop good shaving habits, the best place to begin is with a barber. Modern Male is one of the few places that offers the “old-fashioned” barber shop experience with an Ultimate Shave, along with many other shaving services. Book an appointment ONLINE today or call (614) 588-0550 to schedule. Happy Shaving!